Parking in Florence: The problems for tourists. Where to park? . Those who come to Florence with their own car or rental car should plan well in advance. On the one hand, it is not easy to find a parking place in Florence. Parking spaces are also very expensive. But there is another big problem: The whole city centre of Florence is closed for cars without special permission. For example, residents, electric cars or handicapped people get a permit to enter the city centre of Florence. As a tourist, you have to reserve a parking space in a multi-storey car park or a hotel parking space in advance in order to get such a special permit. In Florence, there is a zone of several kilometres around the city centre in which only authorized cars are allowed to enter, whether for parking or for other reasons. The city of Florence wants to reduce the chaos of the traffic in the city, make the old town more attractive and reduce the environmental pollution with fine dust, nitrogen oxides etc.. The zone is called ZTL (zona a traffico limitato). It is several kilometres large, for example the entire area within the major ring roads. In the entrance of the ZTL zone around the old town of Florence there are large signs. Mostly there is also a traffic light. If this is red, only cars with permission may enter. If this traffic light is green, you can enter the city without any problems. The whole thing is strictly controlled. There are automatic cameras that record all the number plates of the cars. A computer system compares these license plates with a database. Who drives illegally into the city, gets a violent (three-digit) fine, everything completely automatically. The notifications of the fine are also sent abroad, such as to Britain and Germany. You will almost certainly be caught, as the cameras automatically read the vehicle numbers. You shouldn’t drive into the ZTL zone without permission, no matter if for parking or other reasons. The ZTL zone in Florence is quite large. Even on the other side of the river Arno some districts are only passable with permission. ZTL-Zeit: The ban is not always in force. In winter it applies Monday to Friday from 7:30 to 20 and Saturday from 7:30 to 18. On Sundays and public holidays, anyone can simply drive into the city centre. In summer the bans are even longer, sometimes until 3 am. Doing what? Where to park in Florence as a tourist? This is easier than you think. If you reserve a parking space in a multi-storey car park on the Internet, you have to give the car number. You will then automatically receive a permit to enter the ZTL zone for 2 hours each on arrival and departure. This usually works very well. However, parking in Florence is not quite cheap. The same applies if you want to park in the hotel. Hotel parking spaces are managed by the hotel. It is best to write an email to the hotel and ask for permission. The accommodation will then apply for this, of course everything easily and quickly electronically via Internet. Important: If you have a permit to enter the city centre of Florence, it is only valid for 2 hours. During these 2 hours you can drive around in the ZTL zone. At departure it is again 2 hours. This has a big disadvantage: You cannot use the car during your stay in Florence. The sights are almost all in the old town. You can get everywhere on foot if you have booked a central hotel. This is a real alternative. However, there is another large zone around the ZTL zone. You can drive around in this zone, but parking is limited. The parking lots, which are limited here with white lines, are only for residents. The parking spaces marked in blue are for everyone, including tourists. However, these are chargeable. 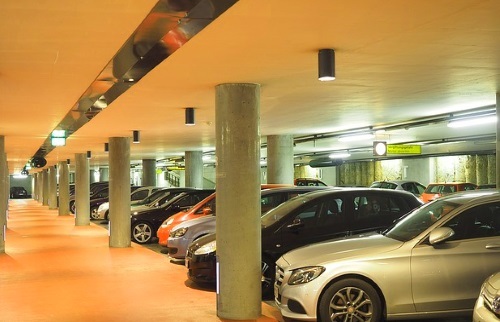 There are also multi-storey car parks and large car parks outside the ZTL zone. These can be reserved on the Internet (recommended). Because of all the hassle with parking and parking spaces, limited access to the city, etc., some tourists prefer to park in a nearby city and take the train or bus to Florence. For example, cities like Prato, Pistoia or Empoli are very popular.